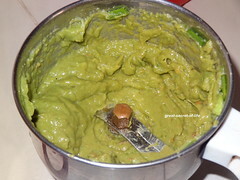 I wanted try avocado soup for quite sometime. 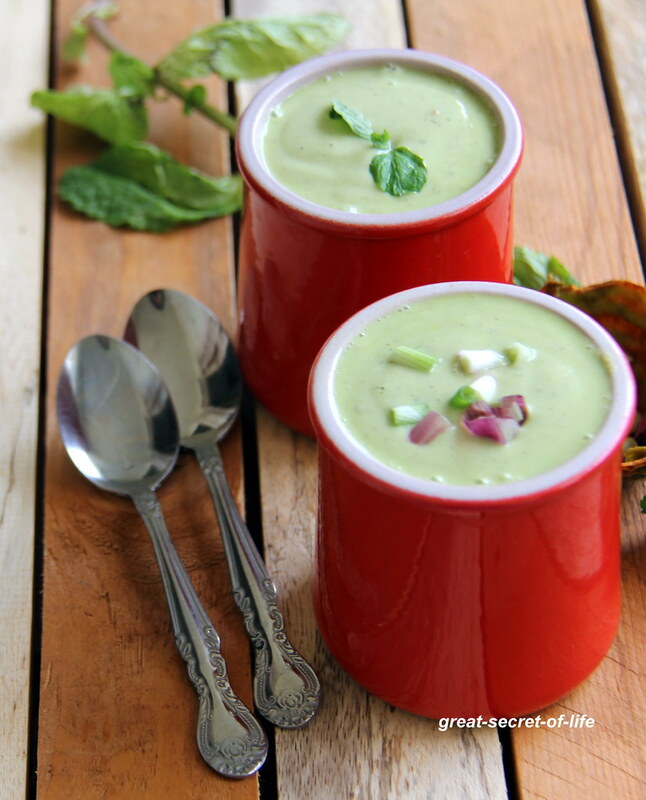 The avocado that my friend passed to be was bit sweet so I decided try Avocado soup with that. 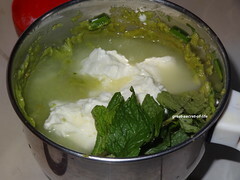 This soup is very simple and tasty recipe.. Perfect for even bachelors. Avocado -- either you love it or hate it. 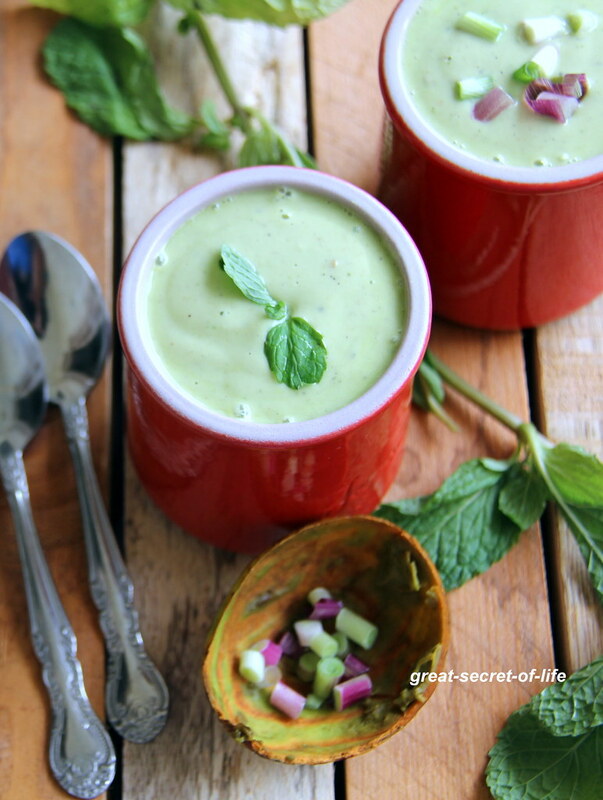 If you hate avocados or you want lighter avocado taste you should increase the cucumber and reduce avocado in this recipe.. You can even serve this as raita. 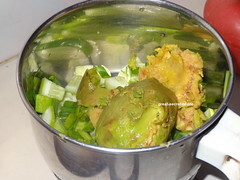 Combine Cucumbers, avocado, Green part of spring onion, Yogurt in a blender / mixie / food processor till smooth. Add water little by little till you get desired consistency. Add pepper, salt and finely chopped coriander and mix well. Keep it in fridge for 30 to 60 mins. 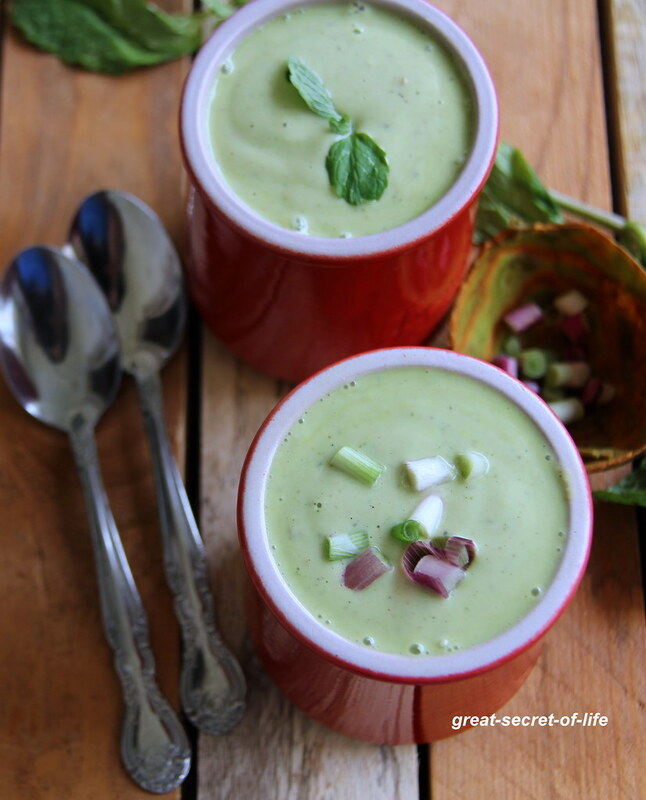 Omg, i would love to have this soup happily rite now, its suddenly hot here, am craving for some chilled soup. great soup :) Like always, I love your pictures. 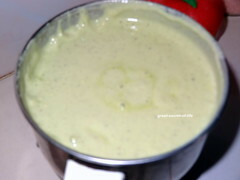 lovely green color of the soup and looks good. healthy too.